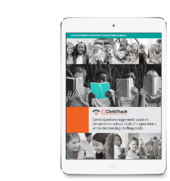 Providing a secure parent portal like the one found in EZChildTrack’s childcare management software can be a powerful business differentiator. It allows today’s busy parents to be as engaged as possible in their child’s activity. Below is an overview of the benefits of the EZChildTrack Parent Portal. Most searches for childcare begin online, and young parents are children of the internet age. They are comfortable with technology and often expect to be able to do most of their business from their computer, tablet, or smartphone. The Parent Portal offers them the opportunity to register their child in your childcare center using their favorite device. They can fill out registration forms online. Immunization forms can be sent as an electronic file. Emergency contacts and other required information is easily entered and changed as needed. The information is stored in a central database that all of the EZChildTrack applications can access and use for other purposes. One of several enrollment options available with EZChildTrack software is calendar-based enrollment. Enrollment is performed through the main application or by parents through the Parent Portal. You add all the activities you want to a program period shown in an online calendar. Parents enroll their child using the online calendar function, providing a flexible scheduling option. As the administrator, you can manage all the enrollment details in a structured manner, including defined rates and discount types for each activity. Online payment continues to gain popularity, and many of your clients may demand it. Being able to pay online means parents don’t need to fill out a check or drop by the front desk to make a credit card payment. Parents can pay by credit card or bank draft. They can approve automatic payments to eliminate the issue of late or missed payments. You can offer multiple payment options to fit almost every need. 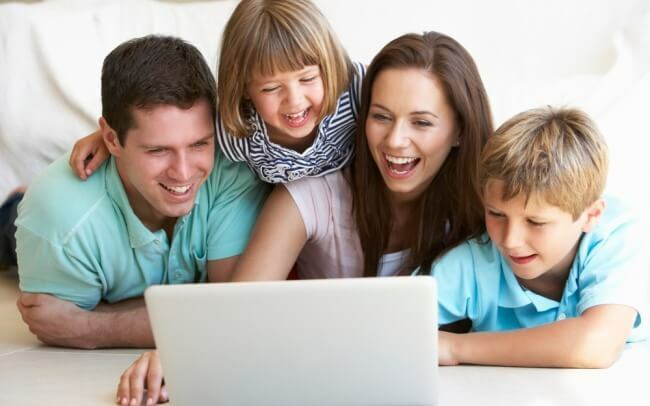 The online payment options also allow you to accept split payments from separated parents or guardians as well as subsidies and payments from government agencies. Online payment and electronic payment processing streamlines your accounts receivable, too. There is no need for you to make a trip to the bank to deposit checks and cash. Everything is handled online. Plus, when you have electronic payment processing, there is little lag between payment and deposit. You can even set up deposits to multiple bank accounts, and the system automates the entire process. Read more about efficient childcare billing and payments. Parents have access to all the information on their child you have at the center. They can also make any necessary changes by opening the parent portal and logging on with a secure password. Each child’s information can only be accessed by authorized persons, from the child’s parents to teachers and staff at your childcare center. When it’s time to update immunization records, change addresses, or fill out emergency contact information, parents can log into the portal rather than call you or deliver the documents to your facility. The system can even send a notification when it's time for new immunization records, or a parent's credit card is about to expire. Any changes made in a child’s record is logged in the system for audit and investigation purposes. You can bill through the parent portal or via email and parents can print or download the invoice for their records. You can also offer them an annual tax statement, billing histories, and payment reports. By accessing invoicing information through the portal, parents can immediately pay their bills and gather documentation. The parent portal allows you to post bulletins reporting on the various daily activities the children do. Parents love to see their children learning and having fun while at daycare. By posting pictures and videos, parents don’t miss out on some of the critical milestones that make raising a child so fulfilling. When you post a calendar, you let parents know what to expect each day and for the rest of the month. You can place notes about special events or holidays on the calendar as well as make any announcements about planned closures or the offer of special activities such as field trips or visits from special guests. Of course, parents may prefer to download document or forms to fill out manually or to place in a physical file. Alternatively, your facility may request handwritten documentation for various reasons. The parent portal is the perfect place to offer these forms as well and instructions on the use of the form and where it should be sent. Lack of communication is a leading reason clients stop using a service. If you read online reviews or follow social media, most disputes come down to a problem with communication. A parent portal provides an easy, open pathway for both you and your customers to provide information, make clarifications, and engage with each other. You can send notifications to parents about emergencies with their child or the center, such as weather closings, illness, or injury. Parents have a secure channel to provide private information about their child and family anytime, day or night. A parent portal provides access 24 hours a day, seven days a week from any device. Parents can report absences, schedule days of vacation when their child will not be in attendance and keep track of payments and activities. The portal shows parents the various options in activities and helps them remember important dates. If you are planning a holiday meal for Moms and Dads, place it on the calendar as soon as possible so nobody will miss it. If you are offering a special class or event that requires separate registration and payment, parents can take care of it through the portal. Let parents know if you will be celebrating birthdays or other holidays as well as ask for assistance or special equipment. Track account transactions and send notifications for late payment or to inform a parent of an impending late pick-up fee added to their bill. The easier you make it for parents to find and manage information, make payment, and communicate, the higher their satisfaction rate will soar. A parent portal makes all these activities possible without the need for additional staff or repetitive tasks.